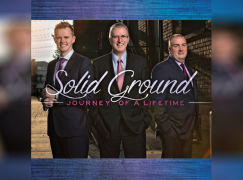 It’s So God by Brian Free and Assurance should be a strong contender for the best quartet recording of 2006. This project is firing on all cylinders. The energetic, brass driven â€œWhen The Lord Says Goâ€ gets Itâ€™s So God underway with a flourish. It features lead singer Bill Shivers. Brian Free then takes the melody for a nice ballad called â€œItâ€™s All About The Bloodâ€ written by Marty Funderburke and Tammy Dunaway. 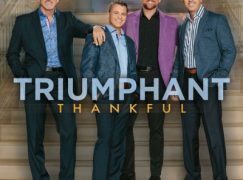 â€œThe Coming Of The Kingâ€ is in the same vein as the groupâ€™s 2005 hit â€œLong As I Got King Jesusâ€â€¦white boys tipping their hats to Black Gospel with a soulful music track while maintaining a Southern Gospel male quartet vocal balance. It worked out great for the group last time, so they’ve embraced this type of song more deliberately this time around. A couple of songs on the second half of the CD have a souful treatment as well. The group isn’t resting on their laurels, though. Brian Free and Assurance expand their musical territory with â€œIf It Takes A Valley.â€ This Joel Lindsey/Sue C. Smith lyric has a mid-tempo Celtic feel with Sam Levine sitting in to play penny whistle. Itâ€™s also the first single being released to radio from It’s So God. â€œMan Of Sorrowsâ€ and “The Only Thing Broken” are slower, reflective cuts that provide a contrast to the upbeat tracks. “Keeping The Old Man Down” is a happy song in a minor key with a bluegrass feel. Derrick Selph steps up to be featured on “It’s Good And It’s God,” the second soulful song on It’s So God. The big ballad on It’s So God is “Under Cross Examination.” Featuring Shivers on the first verse and Free on the second, the arrangement begins with light strings and a piano for accompaniment and then slowly builds to a huge finish. 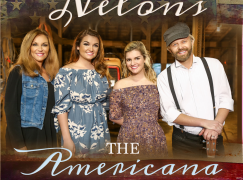 I believe the group saved the best for last with “Jesus Will Pick You Up.” This track is a remake of a song that put the Williams Sisters on the map in the 1990s. Like “The Coming Of The King,” it also picks up where “Long As I Got King Jesus” left off. Plott almost gets a bass singer rap going on at one point. 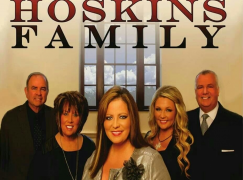 It’s So God has everything a new studio recording ought to have…excitement, fresh sounds, thought provoking lyrics on the slower paced numbers, and consistent quality from start to finish. 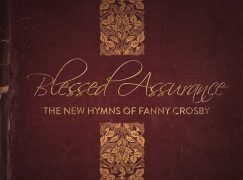 Brian Free and Assurance, Daywind Records, and producer Wayne Haun should be very proud of this release. Hi David, I’ve never been a huge BF&A fan, but I’ve been listening on Daywind’s website, and your review is correct. This is a fantastic album. I gotta run to the store n buy it! Hi,I have always been a huge BFA fan and I think this is one of their best CD’s. Also, they are the best group in the history of the music business and always do a wonderful job. I have been to hear them more times than I can count and I always get a blessing. I have always been Brian Free’s biggestyoungest fan. I have been listening to him since I was born and out of all of their CD’s I think this is one of the best. They have and always will be the best group in the history of the music business. I have always been Brian Free’s biggestyoungest fan. I have been listening to him since I was born and I think this is one of their best CDs’. They have and always will be the best group in the history of the music business.